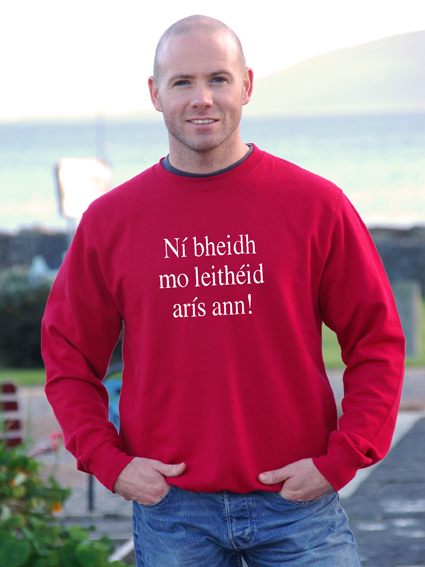 Plain clear text on front: 'Ní Bheidh Mo Leithéid Arís Ann!' meaning 'There'll Never be the Likes of me Again!' . 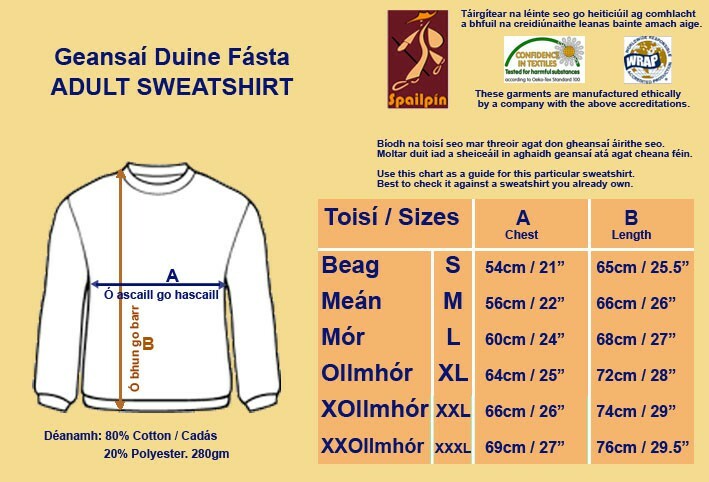 Based on a well-known saying of the Blasket Island writers, who declared that they were telling their story, because "There would never be their likes again"
These are very high quality sweatshirts, manufactured from 80% Cotton, 20% Polyester.